Love is hard, even for superheroes. Daniel has been fighting other people's battles all his adult life. Nina was created to wage holy war. They've never known any other life. Now, they've fallen in love...again. 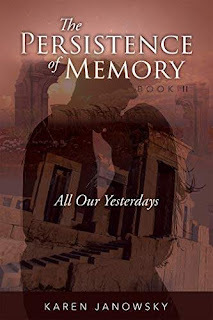 With their restored memories has come greater danger to themselves and to the world. They aren't sure who the enemy is or what they want, but powerful, evil creatures are attacking all around the world to get to the couple. As Nina and Daniel negotiate what it means to be in love, the mystery behind a secretive society deepens, and the safety of the entire world is at stake. Sacrifices must be made, and time is running out.